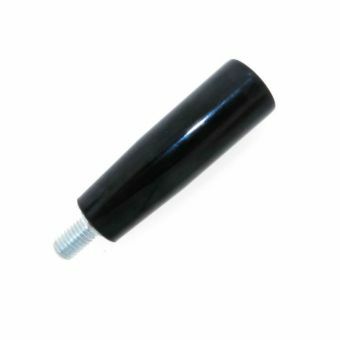 Request a quote for Technopolymer Revolving Handle today. JBF National’s technopolymer revolving handle is designed to maximize operator grip while relinquishing zero comfort. Continued operator comfort is ensured by the technopolymer handle grip and the smooth operating action is carried out by a permanently lubricated spindle manufactured from zinc plated steel. JBF National’s bottom mount hex socket design makes for easy insertion or replacement. Please see component diagram below.